| GK Vilash About us | ГК "ВИЛАШ"
The GROUP OF COMPANIES VILASH began its history in 1992, in St. Petersburg. All commercial relationships in the GROUP OF COMPANIES VILASH are regulated by VILASH Trading House, which is a distributor of its own brands, technical importer rendering services for network and retail segments. THE GROUP OF COMPANIES VILASH has its own vineyards in Spain and Azerbaijan, exclusive contracts with manufacturers of wine from France, Argentina and Spain. The fact that the enterprise has highly qualified specialists and well-functioning system of quality control for the production of finished goods, helped to create the reputation of a supplier of various products in terms of types and packaging products and a reliable business partner. All products of the GROUP OF COMPANIES VILASH are made from high quality raw materials and eco-friendly materials of the world's leading manufacturers and are sold in 4 continents: Europe, Asia, Africa and America. For joint development of private brands, the GROUP OF COMPANIES VILASH has its own design office and design Studio. The history of the Spanish plant BODEGAS VIVANZА began in the 19th century, when it was still a private winery with its own vineyards, spreading out on the slopes of Carche mount and owned by Verdú family. Dona Josefa Verdú, wife of Don Carlos, was a big fan of wine and, thanks to her efforts and a favourable local climate, the rumor about the amazing taste of local wine spread far beyond the city, where the family lived. And in 1892, at the World Exhibition in Chicago the wine of Dona Josefa Verdú was recognized the best and received the honorary medal of the Exhibition. VIVANZA BODEGAS on the same land, on the slopes of Carche mount, were able to preserve the technology of those years and keep them to the present day. Since the transition to industrial production, wines began to be exported to the U.S. and to Cuba. Due to it, the wineries attained great renown. 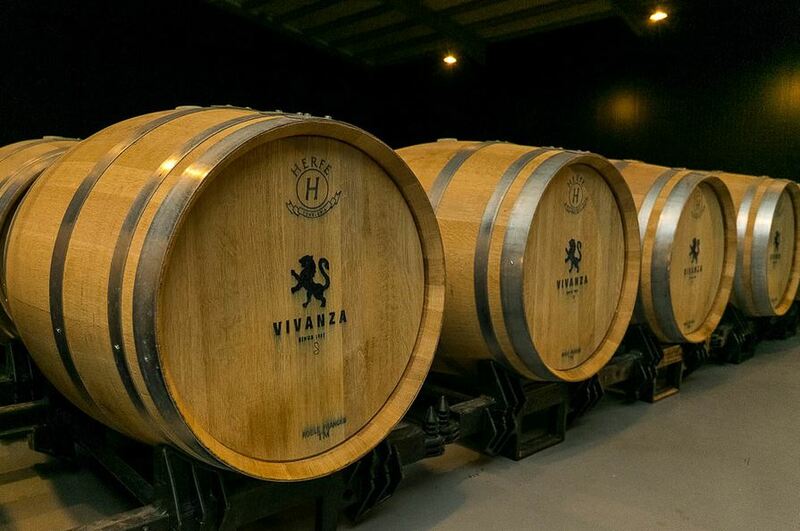 In 2009, the factory BODEGAS VIVANZA joined the GROUP OF COMPANIES VILASH. Today, the equipment and infrastructure of BODEGAS VIVANZA correspond to the highest modern standards for wine quality production and storage. Wines produced by BODEGAS VIVANZA are known not only in the domestic market in Spain but also in Russia, in Baltic countries, in Germany and in China. Extraordinary design and quality of VIVANZA wines attracted the attention of Gucci Fashion House. The result of this cooperation was a contract for the production of a line of branded wines for the Fashion House. Own grape lands “La Alberquilla”, the area of which is about 200 hectares, are located in the Southeast of Spain, at the altitude of 600-800 m above sea level. 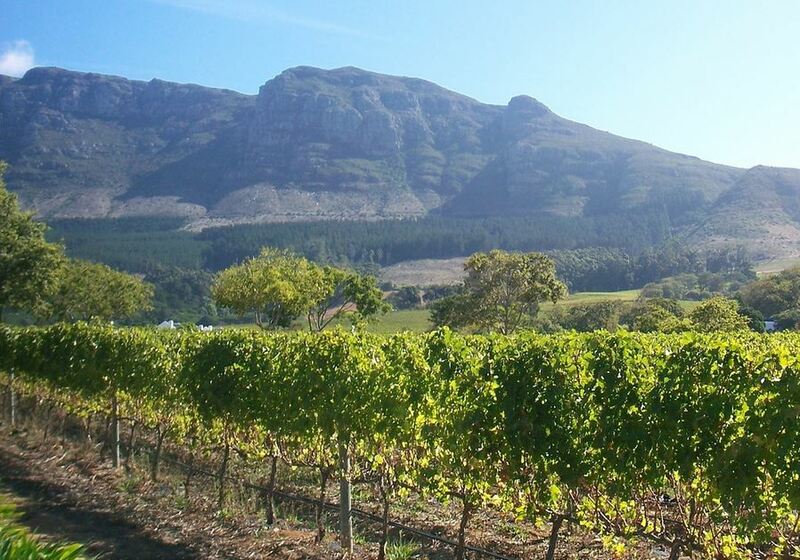 Special local climate provides the wines with intense color and high extract content. Monastrell - a very productive and sweet variety. The vine made of it has dense dark colour, fine taste and aroma, contains a high percentage of alcohol and has a good ageing potential. Verdil – a rare Spanish white grape variety, cultivated in Alicante and Murcia. VIVANZA BODEGAS produces wines Denominacion de Origen or DO – wines of Alicante region – with various aging degrees: Joven, Crianza, Reserva. 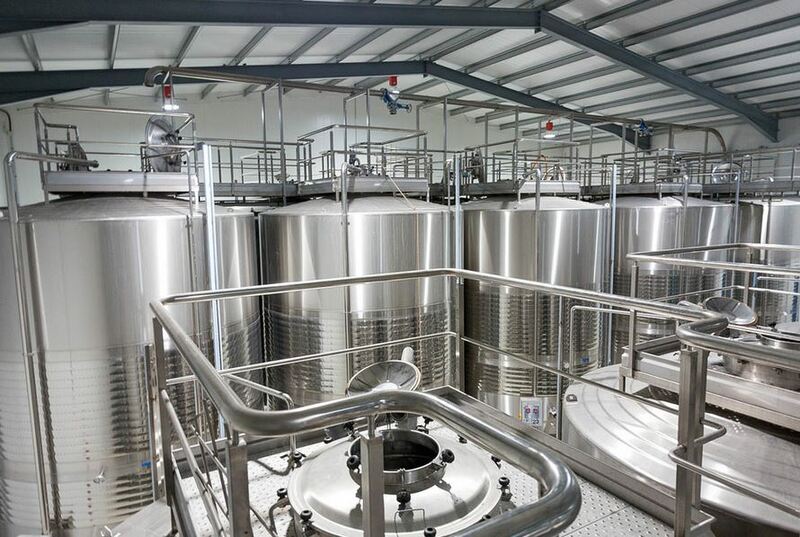 Production volume: more than a million of bottles a year, 1.5 million litres of wine. There is an extensive wine cellar with barrels made of American and French oak. 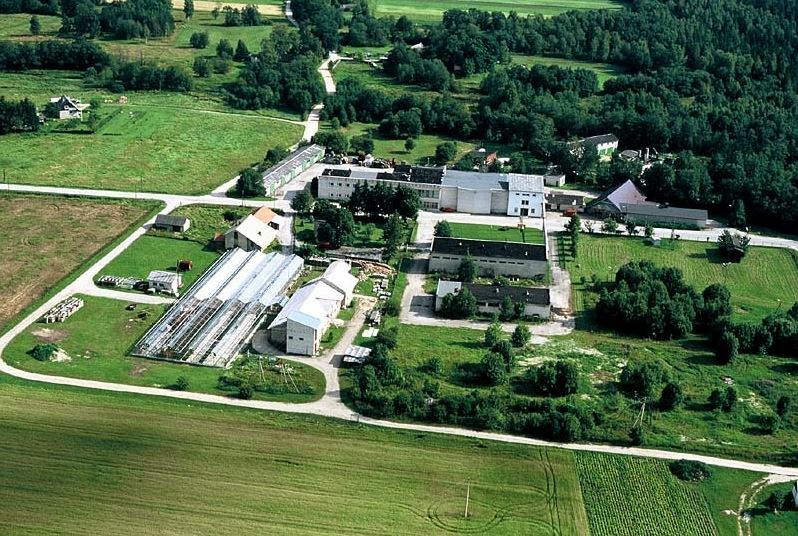 Võhu Vein is one of the oldest factories for the production of fruit wines in Estonia. It was built in a picturesque and ecologically clean area of Võhu village in 1967. During Soviet times, the plant was engaged exclusively in the production of natural juices. Later the range was expanded at the expense of alcohol production. After the USSR collapse, the factory felt on hard times. In 2010, Võhu Vein became part of the GROUP OF COMPANIES VILASH. Restructuring, installation of new bottling lines and upgrading of the tank fleet brought the plant to the modern level. The investment allowed bringing the plant to the modern level of production equipment, taking into account the requirements of all European norms and standards. The plant is a full cycle enterprise: from the processing of freshly harvested fruits and berries supplied by local farmers till bottling the finished product in consumer packaging. At the competition “Best Estonian product of a regional production enterprise” the Võhu Vein production plant was awarded a diploma and took third place. The facility is equipped with equipment for filling, with the possibility of use of various types of packing of various capacities, including popular formats of bottles of 0.33 and 0.375 l., and also bag-in-box and plastic packaging. Production capacities allow using any type of capping. The plant's products are widely demanded not only in the markets of the Baltic countries, but also in the markets of the Czech Republic, USA, and Germany. The enterprise plans are to turn the Võhu Vein plant in the enterprise, which is specialized not only in the production of high quality alcohol products, but also to resume production of soft drinks, thanks to which the plant originally gained fame. VILASH CJSC was founded in 1992. Originally, VILASH CJSC was engaged in the bottling of fortified wines, having only all three lines in the range – “Agdam”, “Karabakh” and “Port 72”. The range was presented only in the northwestern region. The consumer market gradually changed, sales increased, and the range expanded. After 20 years of development, the enterprice has acquired huge experience, has formed a well-coordinated highly professional team. Today, VILASH CJSC is one of the largest wineries in Russia. The factory was established in modern times, but despite the conservatism of the consumer, has caught up and surpassed its competitors, the products of which were very famous in the Soviet years. High standards of quality are provided with modern hi-tech industrial base, highly qualified specialists of the wine production, the careful selection process used for the production of wine that come from countries famous for their long-standing traditions and quality of wine – Italy, Spain, Chile, Argentina, South Africa, and also southern regions of Russia. Today, the plant produces its own brands and private labels of many major retailers and distributors. According to IBS version, VILAS CJSC is among the TOP 100 most dynamically developing companies in Russia. In terms of production, it consistently presents in the TOP-3 producers of sparkling wines in Russia. Production resource: over 60 000 000 litres per year. The facility is equipped with equipment for filling, with the possibility of use of various types of packing various capacities, including a popular format Bag-in-Box. VILASH products are known as in the market of Russia and abroad: in the countries of Baltic, the USA, England, Cyprus, Vietnam, Armenia, and other countries. High quality and gustatory properties of VILASH products are confirmed by many prestigious awards at various competitions. The plant "VILASH-FSW" was founded in 2010 and became the first sparkling wine factory in the Leningrad region. In a very short time VILASH-FSW LLC became a significant enterprise in the alcoholic market. Today, the plant occupies a leading position among the manufacturers of alcoholic production in the Leningrad region. The share of VILASH-FSW LLC accounts for 70% of production of sparkling wines and champagnes. VILASH-FSW LLC is the only plant in the Leningrad region producing Russian cognac. The facility is equipped with equipment for filling, with the possibility of application of various types of packaging of various capacities. In 2013, the plant put into operation an automated bag-in-box bottling line and launched one of the most modern lines of TETRA PAK - “Tetra Prisma Aseptic”, which enables making a premium packaging of the unique, eye-catching shapes (“prism”), having an easy-opening StreamCap. Despite the short presence in the alcohol market, the plant's products are sold in almost all regions of Russia. The plant's products are available in retail networks of METRO Cash&#Carry, LENTA, DIKSI, NormaN, X5 Retail Group, Semiya, Tander and others. High quality and gustatory properties of products of FSW LLC are confirmed by many prestigious awards at various competitions. Its own railroad siding facilities are conveniently located to transport infrastructure. Included in the GROUP OF COMPANIES VILASH the Petersburg winery VILASH CJSC was the first on Russian wine market exporter to the European Union, starting in 2002 supplying its products to Germany, Israel, USA and the Baltic States. Participation in various international industry exhibitions, where the quality of the products were highly appreciated not only by the competent jury, but also potential buyers, led to a further active development of foreign economic activity. The experience and commitment to mastering the markets not only of Russia, but also of other countries, led the GROUP OF COMPANIES VILASH to the decision to create its own Trading House. In April 2007, a new company was established – Vilash Trading House LLC (Vilash TH LLC). In 2012, the company entered the wine markets of the USA, England, Cyprus, Vietnam, and Armenia. Today, Vilash TH LLC is a distributor of alcoholic products on the territory of Russia, the EU and Asia, provides services of technical importer to Russian and West European companies, has a huge portfolio of private labels with all major Federal retail networks and distributors on the product range, produced in Russia, in Europe and in the Countries of the New world. Partners of Vilash TH LLC are Lenta LLC, X5 Retail Group, Tander CJSC, Rosspirtprom OJSC, etc. Villa Amalia wine company was established and became part of the GROUP OF COMPANIES VILASH in 2012. The company specializes in organizing the supply from Spain of table and alcoholic wine material: grape must, concentrated grape juice, brandy and rectified spirits. Villa Amalia is ready to offer its active support at all stages: from the search of the required products to delivery to the customer's warehouse. Search for the required products, meeting the requirements of customers: visits to production sites, organization of delivery of samples to client. Assistance in the preparation and conclusion of the import contract. Assistance in selecting the optimum trustworthy transportation company specializing in the transportation of alcoholic beverages (flexitanks, cans, tankers). Provision of insurance of goods at all stages of transportation. Extensive experience of working with local Spanish cooperatives, exclusive contracts with the big wineries, allows Villa Amalia wine company to provide their customer the most favorable price offers. Depending on the desires of the customer, delivery of products in bulk or in bottled form may be provided.